The trailer for the new season of Narcos has just been released, and it looks brutal. The fourth season of Narcos could almost be considered a whole new show. Gone are the days of Javier Pena, and instead the story focuses on Félix Gallardo, the founder of today’s Mexican drug trade. Narcos: Mexico sees the story of the drug cartel relocate from Colombia, and explores the origins of the modern drug war by taking the trade back to its roots, when Mexican trafficking was made up of independent growers and dealers. 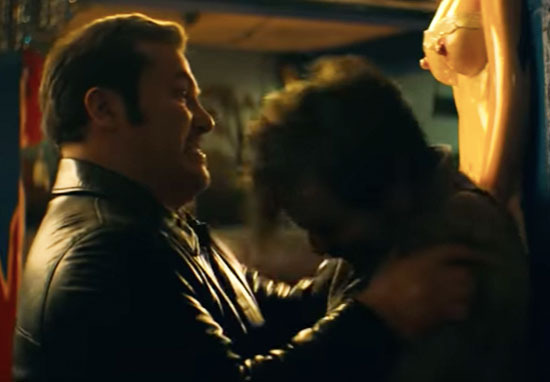 The series is known for its violence and gritty nature, and if the new trailer is anything to go by, the Netflix show promises to keep up appearances with lots of guns, fire and brutality in the new series. 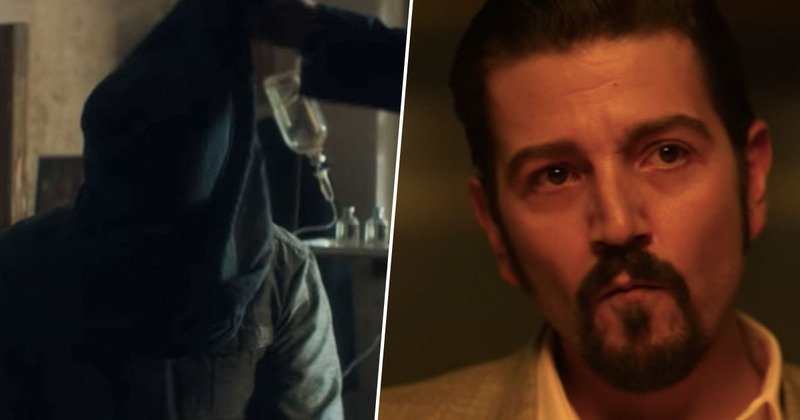 Set in the 1980s, the clip opens with Diego Luna, who plays Gallardo, hinting at the premise of the new series and the start of the drug war with the word ‘begin’. Gallardo takes the lead in the disorganised trade and heads up the Guadalajara Cartel, bringing traffickers together to build a huge empire. In the midst of all the violence in the trailer, Luna’s character has time to step back and confirm the enormity of his actions, saying ‘what I’m doing here, I’m building an empire’. Mexico will see Gallardo opposed by DEA agent Kiki Camarena – played by Michael Peña – who moved his wife and son from California to Mexico for a new job. With the Narcos violence and intensity being what it is, the agent is quick to learn that his assignment is going to be more than he bargained for. Just seconds into the trailer, Camarena already seemed to be in hot water as he appeared to be tied to a chair, with a cover over his face. Camarena builds information about Gallardo and becomes wrapped up in the cartel leader’s dangerous world, ultimately resulting in a tragic series of events and affecting the drug trade and the war against it for years to come. Showrunner Eric Newman spoke to The Hollywood Reporter about the ‘reset’ of the show. The origins of the Guadalajara cartel are in the late 1970s and early 1980s, so Narcos is going back in time. We always knew that we would get to Mexico eventually. A key team comprised of myself and the guys I really trust and work very closely with have been discussing how to best transition to Mexico as early as season two. We decided on the Guadalajara cartel because it represents the beginning of the modern Mexican drug trade. It makes sense to start there. They are both amazing actors. Michael is Mexican-American and Diego is Mexican, and that was very important for authenticity. They both responded to this particular story and they love the show. So do we. Can’t wait for its return. Narcos: Mexico will premiere on Netflix on November 16.